June and July have really flown by…summer always seems so far away, so many fun plans, and then BOOM you are almost to August! Here is a little Insta-Update of what we have been up to around here. You can also view our daily happenings on the sidebar! 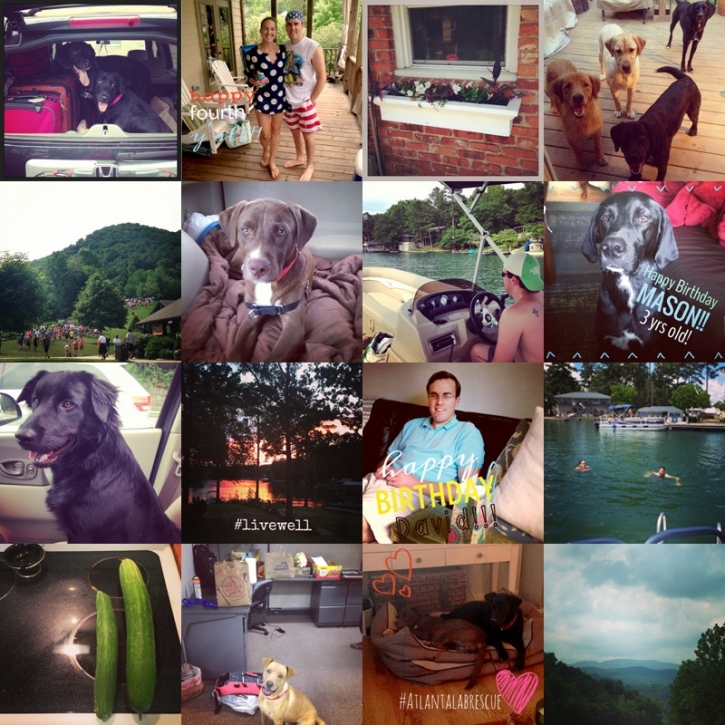 Lots of dogs, lake time, and friends visiting between school and work time. This sumer we have hunkered down close to home due to David’s school schedule and it has been nice to escape to the lake on the weekends when we can. Thank you to everyone following along as I go after my dream of full-time photography! Digging into pet photography, and connecting with previous clients in new ways has been so fun! Not to mention I am saving gas and my sanity not driving downtown everyday! Thank you for your support and encouragement!